Could a $22,000 humanoid robot named Baxter give American manufacturing a much-needed kick in the pants? That’s the goal of Rethink Robotics, a Boston-based robotics firm poised to give cheap offshore labor a run for its money—literally. Founded by Rodney Brooks, a former artificial-intelligence expert at the Massachusetts Institute of Technology, Rethink wants to use Baxter to perform simple jobs that manufacturers have never been able to automate cost-effectively before. 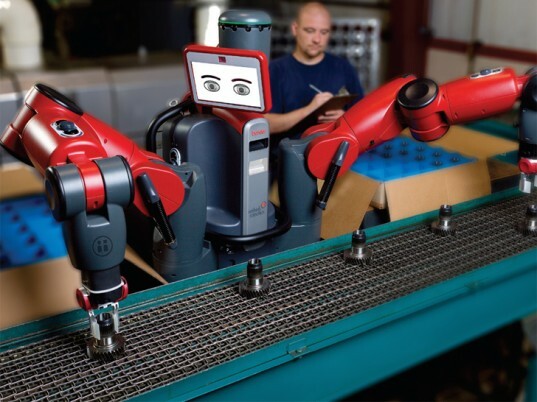 While replacing human laborers with artificial ones isn’t the most obvious job-creation strategy, Brooks insists that smarter, more adaptable, and low-cost robotic solutions can help manufacturers improve efficiency, increase productivity, and reduce their need for offshoring. Baxter itself is built in Massachusetts from 75 percent American parts. By promoting workers from performing repetitive tasks to training and supervising robots, Brooks foresees not only fewer repetitive motion injuries but also a more productive, well-trained workforce. Keeping simple processes in-house also allows manufacturers to maximize quality, protect their intellectual property, and streamline supply chains for greater responsiveness, he adds. 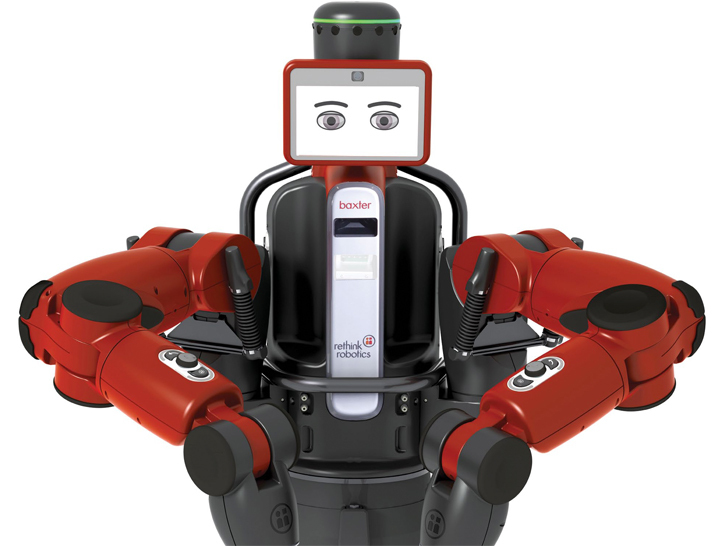 Could a $22,000 humanoid robot named Baxter give American manufacturing a much-needed kick in the pants? That's the goal of Rethink Robotics, a Boston-based robotics firm poised to give cheap offshore labor a run for its money�literally. Founded by Rodney Brooks, a former artificial-intelligence expert at the Massachusetts Institute of Technology, Rethink wants to use Baxter to perform simple jobs that manufacturers have never been able to automate cost-effectively before.